We have special offers available on tickets for Rosmersholm. Hollywood star Rupert Everett is to reprise his role as Oscar Wilde, alongside rising star Freddie Fox as Lord Alfred Douglas, this year when David Hare's 1998 play transfers to the West End. Following an acclaimed run at the Hampstead Theatre last year, Neil Armfield's revival of Judas Kiss will move to the Duke of York's, complete with its entire original cast. The drama focuses on two pivotal points in Oscar Wilde's final years - the eve of his arrest at Cadogan Hall and a night in Naples after his release from prison - and is a tale of betrayal, downfall and sacrifice for love. Convinced by his petulant lover, Lord Alfred, ever-romantic Wilde decides against fleeing the country and instead remains to face arrest and a journey to self-destruction. Following two years imprisonment, Wilde reunites with Lord Alfred and is struck by yet more heartbreak. Discover what's on in London 2013 with our comprehensive guide to the best events. From theatre to art and music to sport, London 2013 has something for everyone - so read on to find out what London town has to offer. 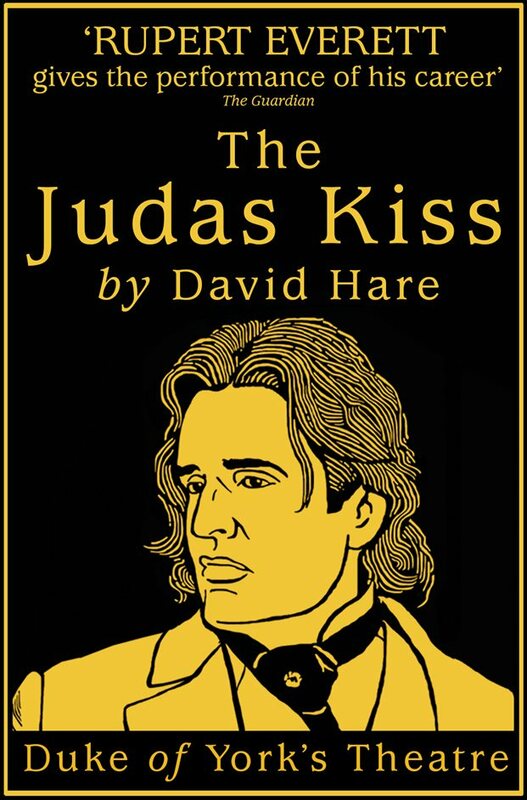 What are the best dining options near The Judas Kiss London? The Judas Kiss gyms, sporting activities, health & beauty and fitness. The best pubs near London The Judas Kiss. The Judas Kiss clubs, bars, cabaret nights, casinos and interesting nightlife. Where to have your meeting, conference, exhibition, private dining or training course near The Judas Kiss. From cheap budget hotels to luxury 5 star hotels see our discounts for Duke of York's Theatre hotels, including St Martins Lane, A Morgans Original from 83% off.